Read Tuesday Report: Success or Failure? The first ever Read Tuesday (a Black Friday type of sale just for book lovers) has come and gone. So now the big question is whether or not the event was a success. And the more important question is whether or not we should make this an annual event, or call it an intriguing idea that didn’t pan out. For me, personally, I count this as a success. For two months of work, there is much to show for the effort. This was a wonderful experience for me, I met and interacted with many authors and readers, and I may have gained a little publicity over this (publicity for myself wasn’t any of my objectives though). The experience and the interactions alone made it worthwhile for me to do this. But this wasn’t my event. Read Tuesday wasn’t ever about one person. It was about several authors coordinating their efforts, participating together, and supporting one another with the hope of giving the gift of reading to many readers. More than that, it was about promoting reading and literacy. How Did the Event Fare? Was the event a success? Not just for me, but for everyone. That’s the bigger question. There are different ways to measure this. What authors, booksellers, and traditional publishers ultimately want to know is how many readers participated and how many books sold. That is, would it be beneficial for them to participate? Of course, I don’t have everyone’s sales figures. I just have my own, except for a few authors who contacted me and volunteered their data. I did have a variety of books participating, so I can speak of these. However, my numbers are not a good sample, not just from lack of sample size, but also because I may have had a little more publicity than other authors, since my name appeared at the bottom of all the Read Tuesday posts. This is a good place to start, though. I usually don’t give out specific numbers about my sales or royalties. For one, anyone who sells fewer than I do will tend to feel discouraged. For another, if my numbers don’t compete with popular success stories, some people will think that’s nothing. So instead of quoting total volume, I’ll comment on some relative numbers. This may be more useful anyway. My better selling Kindle e-books include the first volume of my self-publishing guide, my most recent chemistry book, and my most recent astronomy book. On December 10, these three books approximately doubled what they had sold in the first 9 days all together. (To be clear, I mean the 10th equated to the first 9 days combined; I don’t mean that the 10th was merely twice as good as a typical day.) Their sales ranks were much lower (lower is better) than usual by the end of the 10th. One of them ended the day with a sales rank less than half of its best previous sales rank. My other e-books sold, too, but the data for better-selling books is probably more meaningful. There is also a noticeable tail. Read Tuesday improved my books’ sales rank, and a better sales rank often helps to inspire other sales. Sometimes, customers who discover books also tell their friends. Very often, a successful promotion results in extra sales for a week or more following the promotion. For me, sales so far on the 11th haven’t been where they were on the 10th, but they do show a significant improvement. Although I sold some paperbacks through my eStore, I suspect I sold some paperbacks at Amazon because of Read Tuesday, even though I hadn’t made any special discount of my list price (of course, Amazon discounts paperbacks on their own, so the usual discount was available). I only advertised my paperbacks as participating through CreateSpace, not at Amazon. Still, some customers may have decided that the usual discount at Amazon met their needs better than 40% off at CreateSpace (they feel more comfortable buying at Amazon, and may qualify for free shipping), and even MatchBook may have played a minor role. It does appear that sales of my paperbacks improved somewhat on the 10th. There are a few complications. For one, CreateSpace printing is presently delayed by a couple of days for the holiday workload, plus there may be delays of a couple of months as other printers are being used to fill orders. I monitored the sales ranks of my paperbacks to see the improvement on the 10th. Tuesday is often a better day for my paperback sales than the weekend, so improvement on Tuesday is typical. The was more improvement than normal on the 10th, but it’s also a ripe time for holiday purchases. Still, I think Read Tuesday was a factor. I offered a few Kindle e-books for free. I haven’t done freebies for quite some time, but I wanted to help provide a few good deals for Read Tuesday, and you can’t beat 100% off. My most successful freebie has “sold” 127 copies since the 9th. That may not sound like a big number, but this is a book that generally doesn’t sell too often, so it’s pretty good in light of that. The important thing is that most of these “sales” came on the 10th. The same book was free on the 9th and 11th, but was much more popular on the 10th. As I said, my own sales can’t be the benchmark since one isn’t a statistical sample and my name appeared at the bottom of every Read Tuesday post, giving me somewhat more publicity. However, those are the numbers I saw directly, so I was able to analyze these. How Did Other Books Sell? That’s the million-dollar question. I can only see my own sales reports, not everyone else’s. I only know what others have volunteered. I have heard from one author earlier today who said that her book had climbed to #6 in its category (and appeared to be climbing). This author credited Read Tuesday for this. A few other authors had milder success stories to tell, and one of these had another big promotion preceding the event which introduces a complication. Feel free to share your experience. As I mentioned, there are disadvantages to quoting specific numbers; percentages or relative terms may be more appropriate, and you can use words like “few” or “many” if you feel more comfortable being somewhat vague (and if you feel more comfortable keeping it all to yourself, realize that nobody is asking you to reveal anything). Not all books are created equal. Some books surely attracted more attention than others. Who was the audience? There are probably a few different genres that received more attention than others. Also, some authors are more effective at marketing than others. An author with a highly marketable book who promoted his or her book’s sale effectively had much more potential than a not-so marketable book that wasn’t promoted. Therefore, there probably were a few books that didn’t sell, but there were also some books that did receive a significant Read Tuesday boost. It’s very common in the book industry for the top books to receive much more attention than the majority. According to WordPress, there were 8000 views of the Read Tuesday website, and the idea was only developed about two months ago. There were 1227 views on December 10, although the sale continued for several hours into WordPress’s December 11. There were hundreds of clicks on the Read Tuesday catalog directly from the Read Tuesday website on December 10 (again, the sale continued onto the 11th). Keep in mind that many people had already bookmarked the Pinterest pages, and so didn’t need to access them from the Read Tuesday website. The Read Tuesday blog has over 2500 followers. There are nearly 1500 Facebook likes and over 900 Twitter followers. Many people follow Read Tuesday from Facebook and Twitter, as the blog posts feed into there. There have been more than 500 comments on the Read Tuesday website. It’s highly interactive. There have also been numerous reblogs, retweets, etc. Advertisements at a few different sites made over 100,000 impressions. Most of the click-through traffic was directed to Twitter or Facebook, and a fraction of that traffic made it to Read Tuesday. Therefore, there may have been many more views at Twitter and Facebook than at the main website. The important concept here is branding, which is a long-term process. 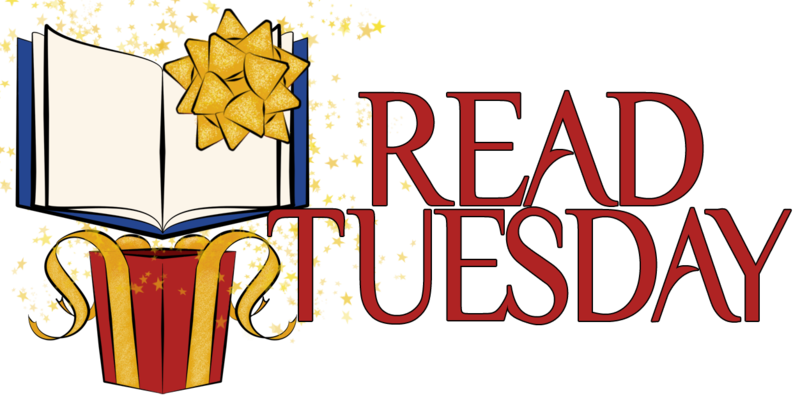 Many people know about Read Tuesday, and after hearing about it a few more times, they will check it out. A few dozen people clicked on the links to Google Docs forms on December 10, and a handful of authors emailed me on Read Tuesday asking to join. Late to the party, but it shows that authors and readers are still discovering this event and getting interested in it. We have a year to significantly improve our numbers. First of all, there was virtually no risk for participants. Sign-up and participation was free. You didn’t even have to subscribe to something. It was really just free. I didn’t even hit you up for a donation. One strong goal of the program was to help both readers and authors. There was also very little effort and time involved for participating authors. You had to submit your basic book data, remember to put your book on sale, and spend a few minutes scheduling the sale. If you also promoted your book, you did have to put time and effort into this, but that’s something you have to do with any promotion. Promoting your book’s participating in Read Tuesday allowed you the opportunity to promote something other than just your book for a change. There was potential here. While participating was free, I also didn’t make any promises about what Read Tuesday would do for you. It was an opportunity, a fascinating idea perhaps, but never a guarantee. What Read Tuesday did for you was to give you some free exposure, something all books and authors need. Even if you didn’t sell any books, your cover was seen by many people, which helps you with your branding. Branding is an important process which takes months, since most people don’t run out and buy a product the first time they see it. Free branding, someplace you don’t normally show your book, where readers were visiting is by itself helpful exposure. So no matter what the numbers are, Read Tuesday did provide free exposure. Hundreds of people saw the thumbnails and author photos. The author catalog (which was much smaller than the book catalog) allowed readers to see the people behind the books. A couple of readers contacted me and specifically stated that they enjoyed this feature of Read Tuesday. Big businesses and authors are reluctant to try it out, as there isn’t any data to help them project whether or not it will be worth the effort. They might even wonder if the event will fall through and never come to pass. It’s difficult to build publicity for an event without the big name recognition participating. It’s hard to get one without the other, yet you need both. The first Read Tuesday may be more like a preliminary event. We achieved a great deal for a bunch of indie authors (mostly) collaborating together over the course of two months. The website isn’t perfect, but many people were impressed with it. We created a lot of buzz, generated a lot of traffic, and received much participation. These things are notable. If we could do this in two months, just imagine what we can do with one year of planning and preparation, when we already have many of the tools in place (like the website and a preliminary fan base). There is much in our favor, which might help to draw much more interest next year (plus, there is much more time to generate that interest). Just look at the participation. We had a few hundred books participating, but it’s not the number that’s important. Several very good books participated. I ran into many popular books when I was putting the catalog together. Several had sales ranks in the thousands or ten thousands, and many had 30 to 100 reviews. This is impressive, and shows that many successful authors were attracted to the concept of Read Tuesday, and didn’t choose to snub it. Part of the explanation is probably that successful authors tend to show initiative when it comes to marketing, and they quickly saw this it was relatively low-risk, low-effort, and took the initiative to try it out. If we look at Read Tuesday 2013 as a foundation from which to build, it looks promising. A sizable group of people already know about Read Tuesday. Some have already expressed that they are looking forward to next year. We have a website in place and a presence on Twitter and Facebook. We have experience with enrolling books and using the catalog to shop, which will help guide us to create a better experience for both authors and readers. We’ve put a healthy start into the branding process. We’ve only been branding the image of Read Tuesday for two months; by next Read Tuesday (if we have one), we’ll have another 12 months to add to our branding efforts. Should We Try Again Next Year? It’s not up to me. It’s up to you. When I came up with the idea for Read Tuesday, I felt that there was a good chance that it would dissipate after a few weeks, but it didn’t. I may have done much of the work on the website and with the blog, but I couldn’t have done Read Tuesday by myself. The magic formula is participation, and we had much participation and support among authors, and readers, too. The growing level of participation and support are what made Read Tuesday come to pass. Will there be continued participation and support for Read Tuesday? This is what will decide the fate of Read Tuesday. If you’re an author who put much effort into promoting Read Tuesday, and have little or nothing to show for it, you should be thinking you’ve had enough. If you feel like you got more out of it than you put into it, you might feel that it’s worthwhile to try again. If you’re a reader, did you enjoy shopping for books? Did you find some books that you liked? After you read those books, you can answer whether or not you found books that you came to enjoy. Definitely, don’t continue to support Read Tuesday on my behalf. Do what you believe is best for you. We don’t want to run an event for the sake of a concept that seems like it should be good. We only want to run an event if it actually is good. (Maybe it was good for some authors and readers, but not for others.) Be honest. Read Tuesday has room for improvement. I observed some of this myself, both as an author and as a shopper. When I was shopping for books, I saw a few problems. Also, a few readers have shared their experience with Read Tuesday. Their feedback has been quite valuable. A couple of these readers specifically mentioned that they aren’t authors. They enjoyed Read Tuesday, but offered a couple of helpful suggestions. Between what I observed and feedback I received, following are some ideas toward improving Read Tuesday. Feel free to share your suggestions, too. The catalog needs to be organized better. Perhaps we should have more subcategories with fewer books in each. For example, a historical fiction category would have been really convenient. Now that we’ve done this once, I have some actual data to help me predict our needs. It needs to be easier to learn about each book. The Pinterest catalog looked nice, but only had a thumbnail. It’s inconvenient to learn more about each book. Maybe we need to have a concise description with each book. We needed separation between the books in the lists (like the Kindle Prices page). We had this separation initially, but it disappeared when I edited the list to add new books. Then it was too late. This will be easy to improve next year. I heard that not all books were on sale. Except for Countdown Deals, it was hard to tell if a book was on sale or not. One reader knew that a couple of books weren’t actually on sale because he actually knew those authors. Fortunately, he contacted those authors and reminded them to put their books on sale. There were probably others that weren’t on sale. Here is my solution: We’ll post regular and sale prices for all books (a requirement to get listed on the website), then customers can easily tell if the book is, in fact, on sale (I can also verify the regular price when I list it). It might also help to prepare an email list of authors and send out a friendly reminder (although that could easily get overlooked). It occurred to me that we could do more to promote literacy and reading, which might make it more of a promoting literacy event and also help to draw more readers. For example, we could create free reading worksheets and post them on our website. A few authors could even create supplemental materials for their books (especially, for children’s books, the kids can read the book then answer questions); this might allow traditionally published authors to offer a book extra and thereby participate in the event. Indie or even traditional publishers might have some interest. We did get participation from a few, but with a year to plan for the next Read Tuesday and the first year already under our belt, we may be able to stimulate much more interest. It’s very low risk, and they now have enough time to plan for it, so why not? If they give us enough notice (i.e. not just a few days before the event), we can list their participation on our website. We didn’t get any booksellers interested in Read Tuesday. There are online sellers peddling on eBay, indie booksellers selling from websites, and indie stores across the world. They could have put up a sign promoting Read Tuesday, passed out flyers, and tried to drum up their own traffic. We would have been happy to mention their participation on our website. But so far as I know, none did. This is something we can hopefully improve upon. What else could we do to improve Read Tuesday? While the experience is fresh on our mind is the best time to consider this. We have a year to do it better, but we won’t have much time if we wait several months to get started. 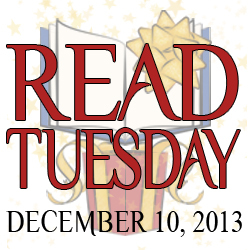 All of our Read Tuesday images say December 10. If we do this again next year, it won’t be December 10. We’ll need a new set of images, and we’ll need to take the old ones down. We have all the 2013 books listed. Should I just change the name of the Pinterest catalogs (to “Cool Fiction Books,” for example), rather than deleting them? Next year, when people search for Read Tuesday, they will pull up results from this year, which have the wrong date. If you can think of things that need to be removed, please let me know, as it might be something that I didn’t think of myself. “Read Tuesday. The Party’s Over…,” RLL. Congrats on the success. I’m looking forward to next year already. Very true. Should have the 1st 6 Windemere books and maybe a special out by then. I didn’t sell one book. Maybe my Createspace dashboard hasn’t caught up, because I had a couple of Facebook comments from people who said they ordered one, but I showed no sales at all. I’m sorry to hear that. I remember your book because it caught my eye. If I had someone in that age group to shop for, I thought it would make a nice gift. This gives me an idea. Do you think it may have helped to try to sort the children’s, tween, and teen categories by age group? Maybe this would make it easier for parents to shop for younger readers. Thank you for participating in and supporting Read Tuesday. I hope a few sales do show up for you (there are delays at CS, presently), or at least someone who noticed your book now finds it again later. Thank you also for sharing your results. Thanks, Chris. It could be that I was in the wrong age group. Skylar Robbins mysteries are written for Middle Grade, or tween readers. So it didn’t really fit into the children’s group, and may have been too juvenile for the teen category. I think having a Middle Grade fiction category is a great idea. Thank you, Carrie, for elaborating on the age group issue. I added this to my notes for what to improve if we try this again. Since Read Tuesday is about reading, I’d really like to find a way to attract more interest in juvenile books. I’ll have to think on this. I am all over anything that promotes reading and literacy. Looking forward to next year. Reblogged this on Exploring The Craft of Fantasy Fiction . I would like it to be a more often than annual event, actually. Now that you have the mechanism in place, it seems a shame to dismantle it. Maybe we could do a “Buy Your Sweetheart A Book” promo for February? That’s an interesting suggestion. 🙂 I would be a little afraid of making the sales too frequent, as buyers will learn to wait for it (on the other hand, this seems to work for department stores). At the very least, I think I need to discover a more efficient way to list the books before I can commit to higher frequency. I’d like to perfect the Read Tuesday sale first, and we have some time to do that. I thought Read Tuesday was a big success. I was introduced to so many books and authors that I did not know existed and I purchased many of them at really great prices. It was wonderful. It was so great to see the wide variety of author,s books and put their photos and profiles with the books I was buying. It was an exciting day. I love promoting authors whose works should be seen and read by many. Congratulations to all these authors and especially to Chris. Thank you. Thank you for arranging Read Tuesday, but I think it was geared more for Kindle select users. I’m on Amazon, but not with the Kindle Select program, so I was disadvantaged from the start. Kindle Select authors had a direct link to their books on Amazon, whereas Smashwords didn’t. Some readers told me they were interested in obtaining those books but had to jump too many hurdles to obtain them, so they gave up. I lost sales as a result. Perhaps next time, Smashwords authors could also have direct link to their books? Otherwise it simply ends being an Amazon Kindle Select fest! If we do this again next year, I will make special pages for Smashwords, Nook, Kobo, and other retailers. I also know how the Google Docs possibilities relate to what I can do when it comes to turning that into a webpage, so I could provide those direct links if I were to do it again. I think the big thing is that we need more Smashwords authors to participate. If you think of any ideas for how to find and attract more Smashwords authors, please let me know. I don’t think it was KDP Select so much. Some of the books that people were buying on Kindle weren’t in Select. But most of the non-Select authors sent me the info for Kindle, but not for Smashwords, etc. This is probably my fault in collecting the information. I will make notes about your suggestion to try to improve this if we do it again in 2014. Thank you for your helpful feedback, and thank you for participating. It would be good to get more Smashwords authors, I agree. I’d like to take part next time – if there is one – but I think I’ll link it to my Amazon kindle books. Thanks for organising it, Chris. For e-books on sale for more than one e-reader, I’d really like to see the e-book appear on multiple lists, with direct links to each. Count me in for next year… and with time to organise a better set of offers. Although I was only offering one ebook free this year, like most writers it is being read rather than sales that really matters.. and the download figures for the day were magnificent. I would love to continue as an annual or semi-annual event. A summer Read Tuesday event might be interesting. Everyone involved did a fine job! I thought the Read Tuesday campaign was a success. Chris, thanks for all the time, effort, and support you provided to both readers and authors. I was hoping Read Tuesday would offer authors and books some helpful exposure. As for the hours, many of them, like putting the website together, were a one-time thing. The main thing that needs to be done again is assemble the catalogs, and I now have some experience to help do that more efficiently. The biggest complaints I heard were that the website was inefficiently designed (most of which you addressed), and that the catalog was hosted on Pinterest. I think I probably know the reasoning for that, but it was a bit of a problem for me too, as Pinterest is blocked at work for me. Ordering the catalog better and listing sale prices would be big improvements from my perspective. I’m looking forward to the event again next year. Thank you for sharing that. It’s very helpful. I think our needs would be different in 2014 than they were in 2013. For the first Read Tuesday, Pinterest helped us create buzz and interest because the catalog was visually appealing and showed many books in a small place. This made a favorable impression when people checked them out, and showed that many books were participating. Now that we got our feet wet, I think we can shift the focus to functionality. Also, going through the experience once will help us optimize this aspect. In 2014, I would only use Pinterest for the author catalog (I think it worked well for that). Sorry to be so long in replying. Read tuesday was a huge success for me. Since I had just released a book within the last week, and also out of my 3 have a policy NEVER to put any other than the 1st in the series on sale, I quietly held my sale over my twitter marketing account only–no fb advertising or advertising anywhere. After staying steady for months, I began December with my ranks and sales nosediving. On Tuesday morning the ranks were close to 20,000 with no genre ranking. By NOON on Tuesday, ranks on 2/3 books were under 5,000 and both books ranked #30 or better in genre. By evening 2/3 books were under #1,500 in ranking and one was #13,#21, in its genres. The other was #23,#31 in Holiday genres. Rankings began to slowly fall after evening even though they were still $.99. After going back to normal price, the ranks have settled around 5,000. To be noted my regular price is $3.99 and there is A LOT of sales this month especially in the Holiday genre. I don’t think readers are buying books at full price this month with so many bargains to choose from. It was a great experience, thank you for your hard work in creating this event! Thank you for sharing your experience in detail. Such information is helpful. 🙂 It sounds like you had a nice Read Tuesday, and I’m glad to hear it. You may be right about holiday buying. It was fantastic for me Chris. I sold 4 books on uk and com and had a lot of downloads for my freebie. For me it was awesome because I don’t really promote – I’m waiting till it’s available in paper too – so even though it wasn’t loads of sales, I can be 100% sure that each one was due to the Read Tuesday event. Can’t wait for the next one – whenever it may be. :). I’m glad to hear that. 🙂 Thank you for sharing your experience; it’s quite helpful. Thank you for organizing this event. I sold 6x the amount of Ebooks than I had sold in the previous 9 days. And I was happy to promote the event and help other authors and “book gifting for the holidays.” I hope you do it again next year. I’m glad to hear that. 🙂 Thank you for participating and support Read Tuesday, and taking time to share your experience.